Texting Removes The Barriers to Directly Engage Your Audience. Which has more “unread” messages….email or TEXTING? There is your answer. TEXTING is the direct communication channel to your audience. People read text messages within 3 - 4 minutes of being received. This is Not the case with email or even social media. Text messaging is the most used communication channel in the world which is why it is so effective when sending alerts, appointment reminders, event information, fundraising news, general announcements, marketing messages, or surveys to your audience. There isn’t a communication channel (email, phone, social media, print) that produces a higher level of engagement than text messaging. Revvi is a text messaging (SMS) system that will help you cut through all the “electronic noise” to help your business/nonprofit save time, increase engagement & retention, improve customer service, and drive more revenue. Texting is so easy, quick, and effective. Because people forget appointments. Revvi offers Revvi-Connect to streamline the process. Because SMS has much higher read rates versus email. Test messages are read within 3 - 4 minutes of being received. 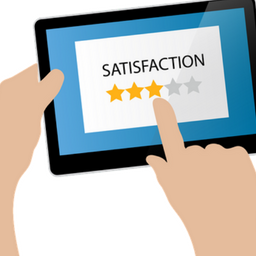 Because online reviews matter to your business's success. Increase survey responses and improving customer service by making it easy with SMS. See how easy surveys are with Revvi. Text "Revvi" to 843.242.0437.